Apple regularly touts milestones in its App Store, whether downloads or the number of available apps. Whenever the mobile marketplace hits a milestone number, the company isn’t afraid to shout to the heavens about its success. Today, Apple announced that more than 15 billion apps have been downloaded from the App Store in the three years since the platform’s launch. “In just three years, the revolutionary App Store has grown to become the most exciting and successful software marketplace the world has ever seen,” Apple’s SVP Philip Schiller said in a statement. “Thank you to all of our amazing developers who have filled it with over 425,000 of the coolest apps and to our over 200 million iOS users for surpassing 15 billion downloads. During the consumer electronics manufacturer’s Worldwide Developers Conference in June, Apple CEO Steve Jobs took to the stage and announced that Apple has payed out more that $2.5 billion to developers.The gadget-maker also said the App Store now carries more than 425,000 free and paid applications for the 200 million iPhones, iPads and iPod Touches in use worldwide. These statistics verify a well-known fact – the App Store is an immensely-popular platform and a giant to be reckoned with. Both iOS and Android users are more likely to consume apps than people with competing mobile operating systems. In late May, Nielson said its surveys showed that 79% of iOS device owners and 74% of Android users had downloaded an app in the previous 30 days, significantly higher than the 63% for Windows Phone 7 and the 42% for Research in Motion’s BlackBerry OS. As Apple began boasting of the App Store’s milestone, however, a federal judge rejected the company’s motion for a preliminary injunction that would have block Amazon from using “App Store” in the name of its mobile software download site. Apple and Amazon have been dueling in court since March, when Apple sued for trademark infringement over Amazon’s use of “App Store” as the name of its Android application download market. 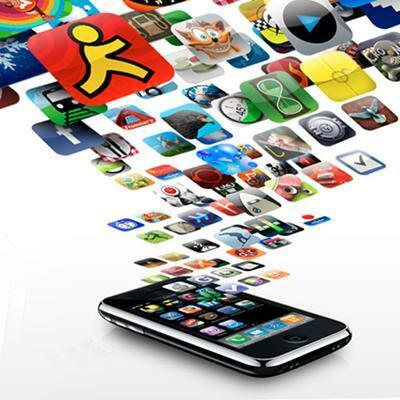 What do you, App Store addicts and mobile marketplace enthusiasts, think? Is it hard for you to believe that the App Store has surpassed 15 billion individual downloads? Sound off in the comments below.